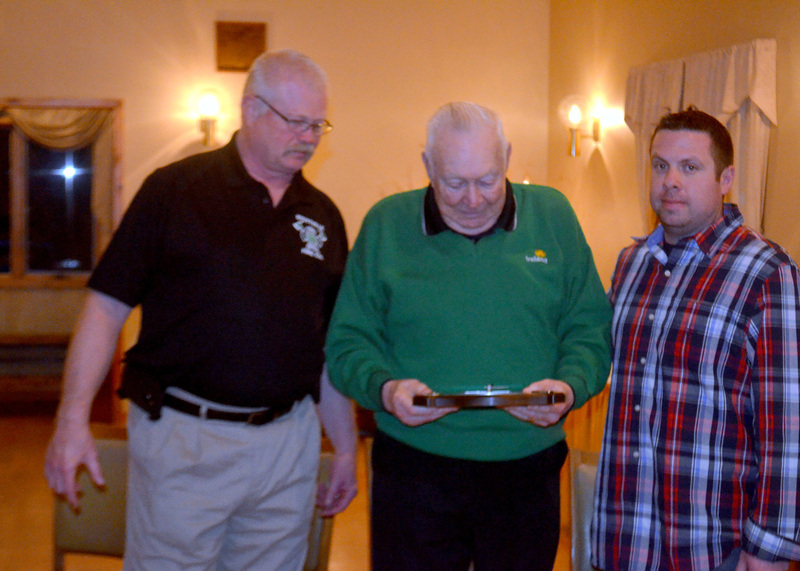 STOTTVILLE -- The Stottville Fire Company recognized 62 year member James Briscoe on March 19 at a ceremony at Kozel's restaurant in West Ghent. A past 30-year chief, president, Columbia County Fire Coordinator, deputy county fire coordinator and EMT, Briscoe is still a fire commissioner, member of the Columbia County Fire Advisory Board, Trustee with Greenport Rescue Squad and still answers alarms with the fire company, often driving the trucks or running the pumps. He was honored by the fire company for a life of dedication and devotion to the community that makes him among the longest active duty firefighters in the state. 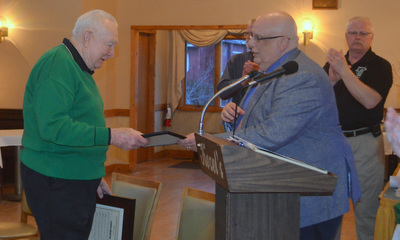 He was presented with certificates of recognition from the state assembly, senate, Fireman's Association of the State of New York and Fire Chief's Association as well as the Hudson Valley and Hudson Mohawk fireman's associations, the town of Stockport and Columbia County. 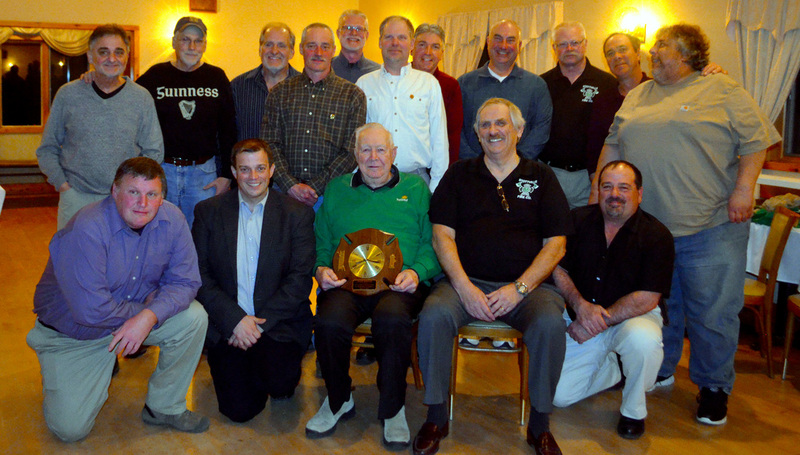 The fire company presented Jim with a Maltese crest clock and a scholarship in his name that will be awarded each year to a college student who is dedicated to the community. 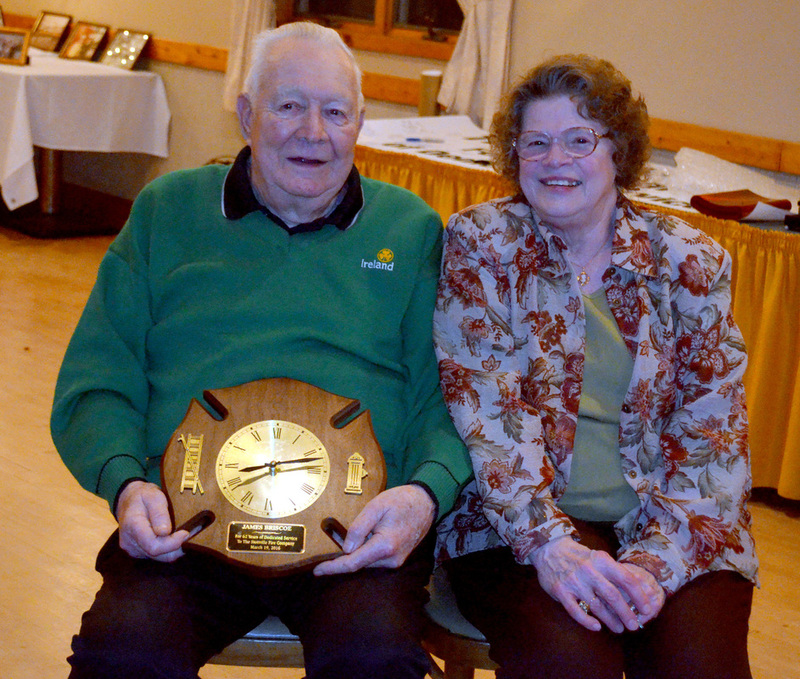 His wife Joan was also recognized for her sacrifices and dedication, presented with a bouquet of flowers. “Jim exemplifies what it means to live a life for others. 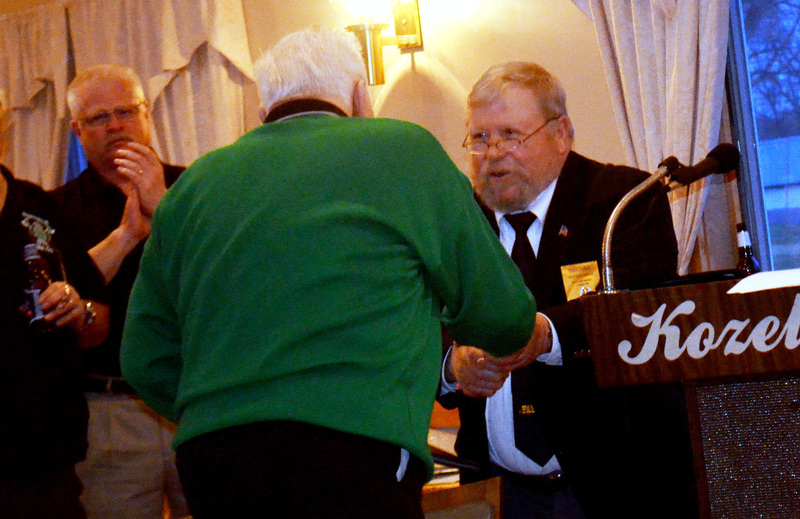 At a time when many others are retiring, Jim is still jumping out of bed and answering calls to help others. He has missed countless meals, holidays and nights of sleep to serve his community and his fellow man. We all are in honor of the life he has lived,” said Malcolm Smalley, secretary treasurer for the fire company.